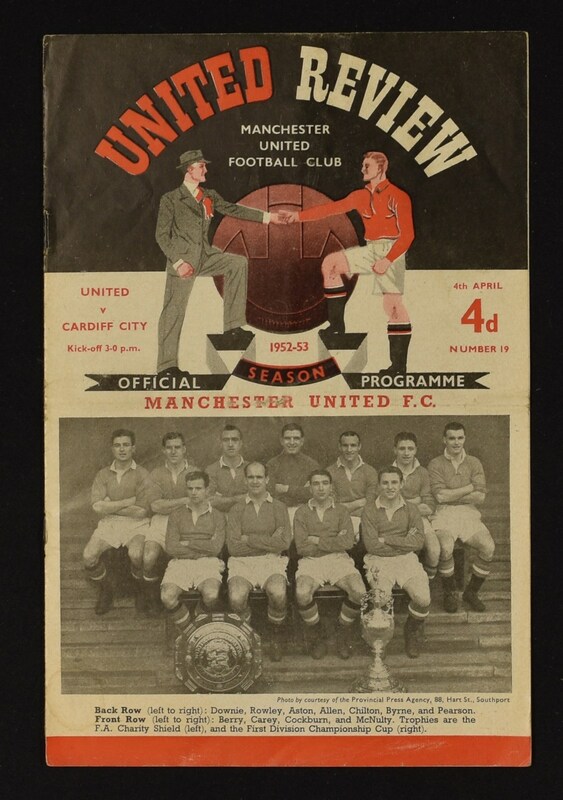 1952/53 Manchester United v Cardiff City Football Programme dated 4 April 1953, an iconic match for United with Duncan Edwards making his debut at No. 6. Crease, no writing. 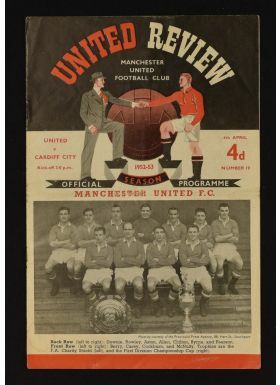 NB: Duncan Edwards not printed in the programme, he was a late substitute for the injured Henry Cockburn.